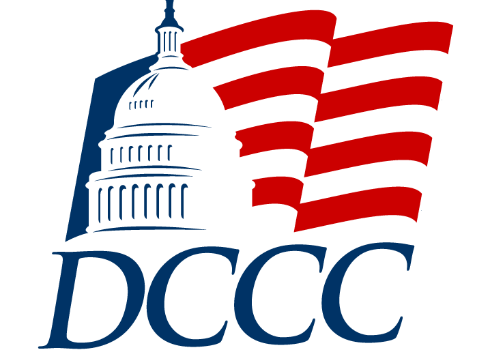 The Democratic Congressional Campaign Committee's deputy communications director laughed about charges of anti-Semitism and the growing racism in America that many observers have pinned on a Democratic Party that is increasingly lurching leftwards. Patrick Burgwinkle‏, a deputy communications director at the DCCC, responded to a tweet decrying the rise of anti-Semitism in America—which has appeared back on the radar in recent days after controversial National Islam Leader Louis Farrakhan took a trip to Iran and led chants of "Death to America"—by responding, "lol," an acronym for "laughing out loud." The initial tweet, sent by veteran Congressional staffer Matt Wolking, decried the rise of anti-Semitism and included a link to a Slate article claiming, "The story of the midterms is about how Americans will respond to racism, bigotry, and hate." "So true," Wolking wrote. "The racism endorsed and tolerated by the Farrakhan Democrats, the bigotry the establishment media exhibits against half the country, and the hatred of Christians, conservatives, and men smeared by the radical left as rubes and rapists." The DCCC's Burgwinkle, in response to that tweet, wrote, "lol," raising eyebrows among some observers. "Anti-Semitism isn't funny," Wolking responded. Observers on Twitter also found the response to such a serious issue disconcerting. "In other words, ‘you know the Democrats are never going to be held accountable for their associations with Farrakhan to any significant degree,'" tweeted one observer in response. Farrakhan, a notorious anti-Semite who has made common cause with Iran in recent years, popped back into the headlines this week when he took a trip to Iran to decry the United States and lead chants of, "Death to America." Iran is among the most anti-Semitic regimes in power today. Its leaders have lauded the Holocaust and the country holds an annual cartoon contest to award those who can depict Jewish people in the most vitriolic terms. This entry was posted in Politics and tagged Anti-Semitism, DCCC. Bookmark the permalink.